Three elements make this the simple go to earring for game day: Color glass stud, a pretty dangle chain and your favorite team charm. Dangles read: Sooners. 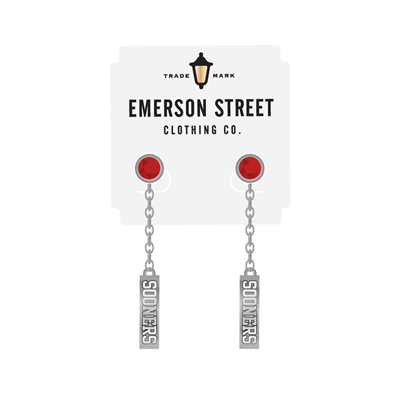 Brought to you by: Emerson Street Clothing Co.